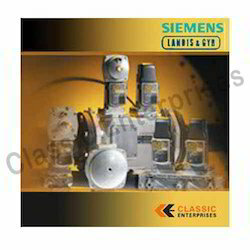 Classic Enterprises, Mumbai Distributors for SIEMENS Combustion Control Products in INDIA,offer oil and gas burners and spare parts ilike Siemens Gas Valve, Actuators, Air Gas Ratio Controller, safety shut off valves. We supply SIEMENS SKP series electro-hydraulic actuators which can be used in combination with any VG series gas valve. This modular approach creates a matrix of valve combination, allowing manufacturers to meet varied capacity and pressure regulation requirements with minimal inventory. Skp actuators fit all valve sizes from ½" to 6". Skp actuators are multifunctional, they perform three functions: safety shutoff, gas-pressure regulation and air/gas ratio control. They eliminate the need for mechanical cams and linkages while improving burner performance. Looking for Electro Hydraulic Actuators ?